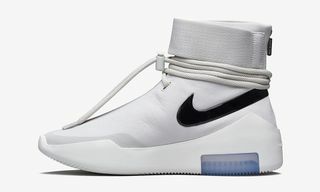 Jerry Lorenzo has taken to Instagram to give us our best look at a new version of his Nike Air Fear of God 180 in a gray and black colorway. 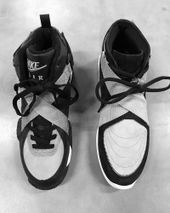 The designer and Nike collaborator posted a series of photos of his new sneaker alongside a 1992 Nike Air Raid, which features forefoot straps that inspired the new model. 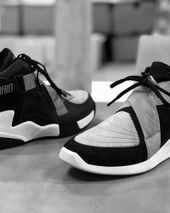 As well as the straps along the upper, both shoes have a mid-top construction and padded collar. 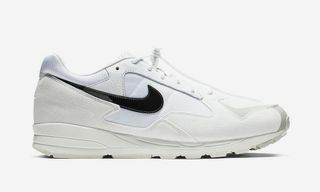 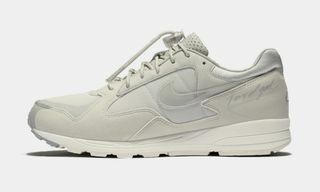 The Air Fear of God 180’s sole unit is also totally different, featuring Lorenzo’s original one-piece tooling made using a Fear of God last flown in from Italy and adding the Air Max 180’s unmistakable Max Air unit at the heel. 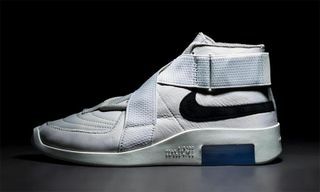 Speaking to Sneaker Freaker in December, Lorenzo said the Air Raid is his all-time favorite Nike sneaker. 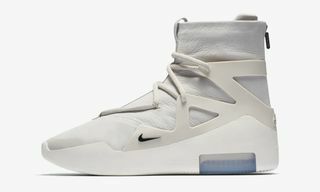 The Air Fear of God 180 was previously leaked in both “Light Bone” and “Black” colorways. 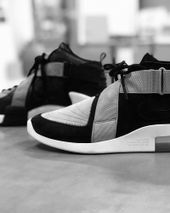 There’s no word yet on whether the colorway Lorenzo shared on Instagram will be dropping or if it’s a sample.